Buenas noches requiero soporte para dmcnet usando una dop para mandar los códigos G y un drivers asda M de 3 ejes. How to add m-code to the project? From where i can got or buy the PMGDL Software because i search the internet and delta website and i didn’t find. does it need special way of download ? How can i provide dynamic g-code downloading on DVP20PM00M. There is no PMGDL software. Does the message protocol description for DVP MC (Delta_DVP-MC_O_EN_20120817.pdf , 2.3.3.2. 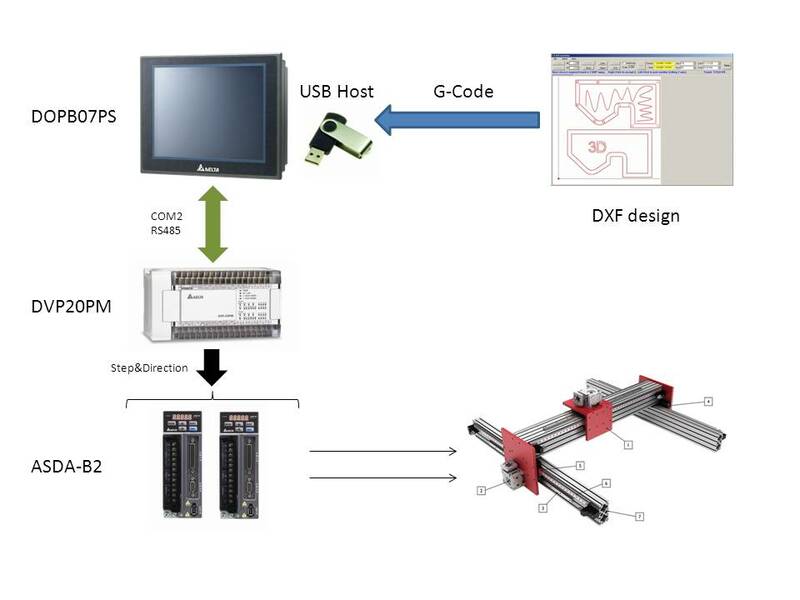 The Protocol for Dynamic Download of CNC Program) the same for the DVP20PM ? Is there another methods for dynamic download of CNC program? I want to automate my lathe using your PLC and servo…Can you help me with an application note? can you help me to solve my problems? i have several delay in this project thanks and i hope your reply. Hi,Emmanuel! I have the same problem with the G-code downloading ( size > 64 Kb ). I tried to find PMGDL utility, that described in DVP20PM manual (DVP-PM-Program_O_EN_20110415.pdf). The result is nothing. Looks like somebody have deleted it specialy. 2—-El segundo es que le descargue un programa de maquinado de 600kb y la pantalla me marco PLC space isnt enough download fail les comento que es un programa de una flor sensilla en 3d existira una memoria mas grande o como puedo solucionar la falta de espacio en el plc. La gente que viene a este blog es de todo el mundo, asi que si lo puedieras publicar en Ingles, seria de mucha mas ayuda para todos. En qualquier caso muchas gracias por compartir tus experiencias! The people who comes to this blog is from all around the world, If you could post in English It will be much more helpful for everybody else. In any case, thanks to share your experiences! Emmanuel Desarrollos Digitales es distribuidor de DELTA en México, tenemos experiencia con los DVP-PM20, estamos para servirte. En que parte de mexico esas emmanuel? This is really new HMI, may I ask you where are you from? This is exactly what i needed to do the project that i am busy with, tell me is there a way to use g code with the SV28 plc and B07S415 HMI. I have a successful program with the SV28 but it has taken a long time to program. 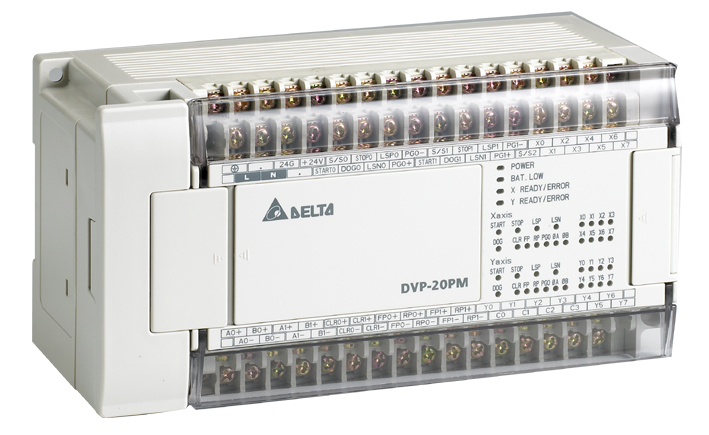 G-Code is only available with DVP20PM and the future DVP10MC. So I´m afraid for 28SV you have to do in manually. OK thanks for the prompt reply, I have another question. When using the DPPMR instruction the X axis (Y0) makes a little step before the next DPPMR or DCIMR instruction is executed, I can reduce this step by putting a value in D1340, but i am not able to eliminate the step all together, I am able to reduce the step to around 18ms, this only appears to happen in the X axis and not the Y axis, do you have any suggestions for me.